I’m a big fan of “one cup" water dispensers. For the feel good factor alone, it’s worth to have one of these at home. I’d call this as an all in one kitchen gadget for a variety of uses. 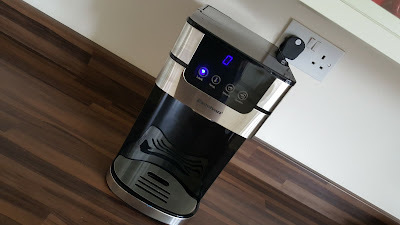 My test and comparison is going to be directly against the Amazon’s best seller Breville Hot Cup. The one I already have is a simple machine and not their higher end with Variable dispenser / Brita filter. 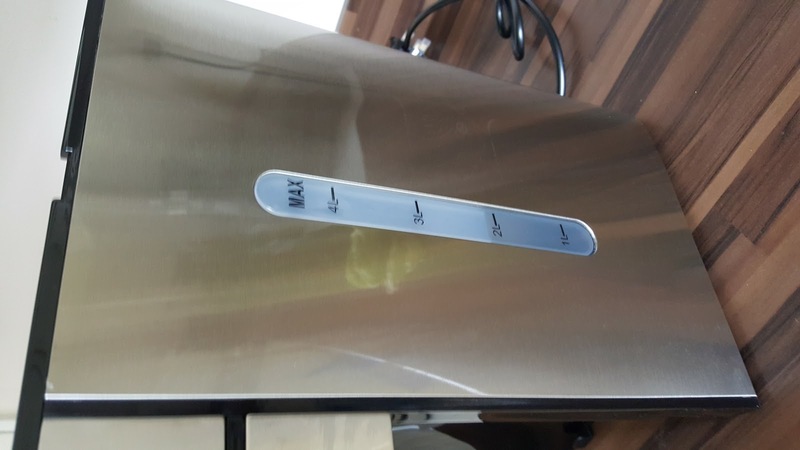 Hot water dispenser takes the exact amount of water either via preset or adjusted according to requirement and heat to the set temperature. Standard low cost machines only has one pre-set, for eg. dispensing water at boiling temperature and 300ml quantity. 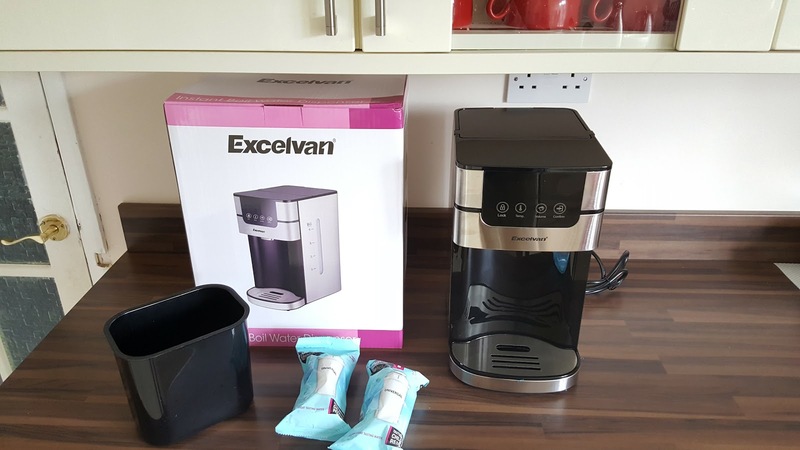 Excelvan Digital Hot Water dispenser is customisable via settings panel. Temperature can be set in 5 different levels or just cold water. 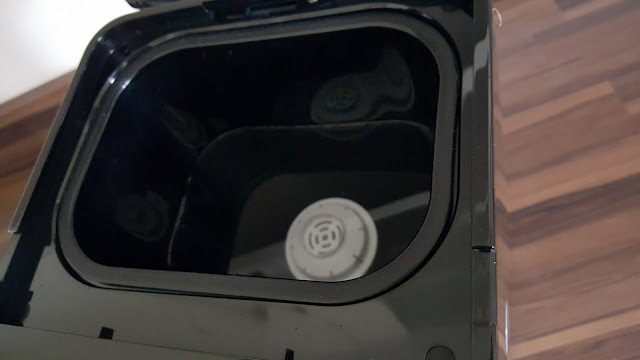 The dispenser has a large 4litre capacity tank to store water. The dispensing volume also can be set in 4 different levels. 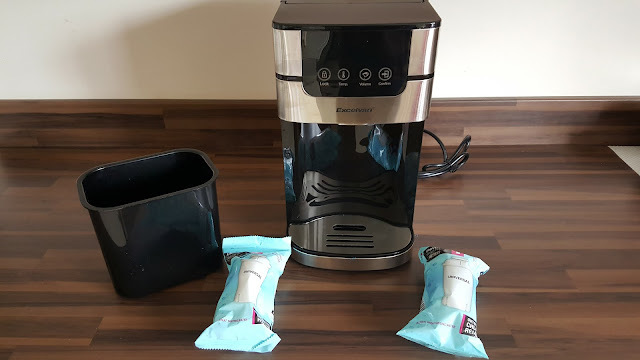 The Dispenser also acts as a water filter, which is really handy if you live in an area if the supply is hard-water. Comes with 2 filters. So if just want filtered water, you can set your choice accordingly in the machine. The tray in the bottom collects excess water or drips. 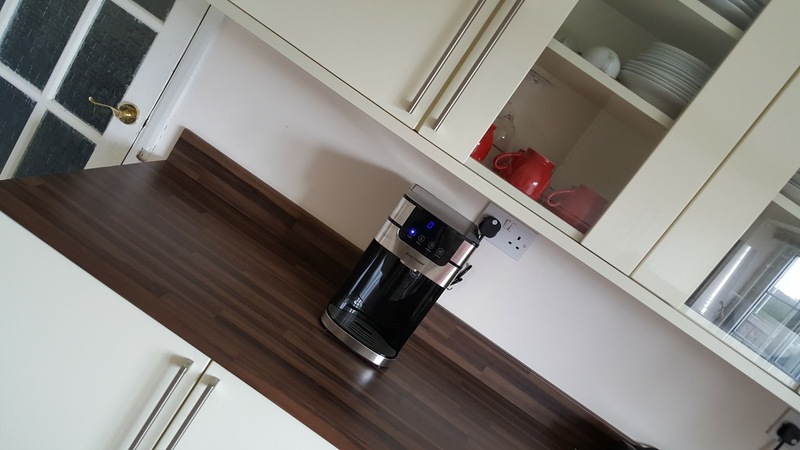 The machine is relatively large, still it blends into the kitchen very well due to its shape and colour. I’ve been testing this for past 2 weeks, there are certain differences in terms of usability between both the units I have. 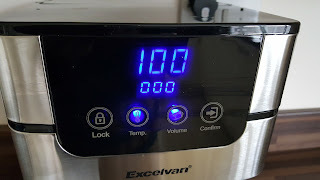 Excelvan is slightly slower in dispensing the water compare to the other brand I have. Excelvan has massive advantage in accessing the water tank, easy to clean and dry off, if you need to do so. But the water is filtered into the tank you may not need to clean / de-scale that often. Comes in the box, the water dispenser, manual and 2 set of water filters. 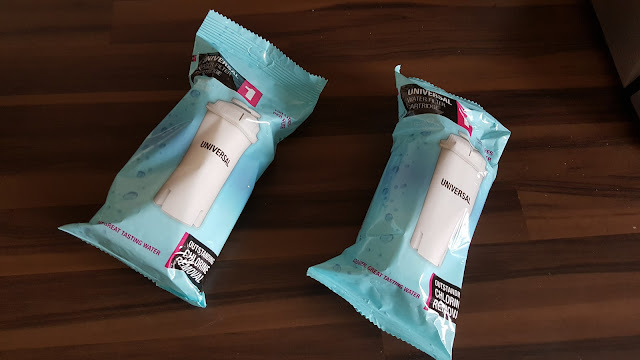 Replacement water filters are cheap to buy, I just saw 12 pack Aqua Optima costs £15 for 12 pack. Filters are easy to replace. The tank shows the water levels and machine automatically cuts off when the water is very low in the tank. Overall a great machine, works very well - definitely saves some electricity and time. Also added bonus is water filter. Please do check out the pictures to see what exactly you get and how it looks.